Here Dana Feldman looks at how Los Angeles-based company Create Music Group has been able able to impact the online streaming economy in artists' favor by tracking down $60 million dollars in unclaimed streaming revenue. In just three years, Los Angeles-based Create Music Group has changed the online music streaming game. What started as a YouTube monetization company, collecting revenue on behalf of artists and labels, now monetizes more than nine billion streams per month. This year alone, CMG is on track to find $45 million for its clients, and in 2019 it’s predicted to find an additional $100 million. The company started with EDM content from DJs and producers releasing content on YouTube for their fans. These artists weren’t monetizing their music, and when certain tracks became viral hits, oftentimes the artist didn't know. CMG came in claiming those tracks on behalf of the artists, and the windfall for many was life-changing. 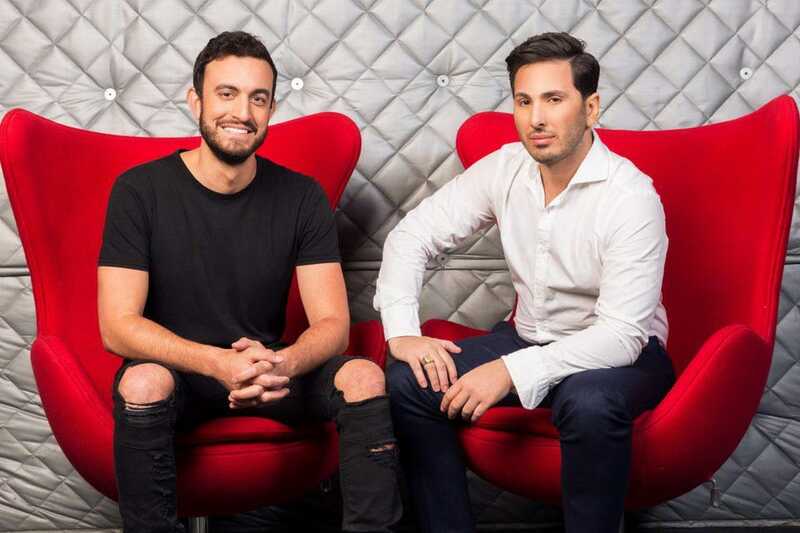 Quickly, co-founders Jonathan Strauss, CEO, and Alexandre Williams, COO, made a name for themselves with their keen ability to spot unknown artists. As the pair became more adept at discovering talent, they started to sign mainstream names like the $44 million DJ Marshmello, the controversial Tekashi 6ix9ine, Migos and comedian DeShawn Raw. Many of their clients earn $10,000 a month, with a handful raking in $100,000. As for the controversy swirling around Tekashi 6ix9ine, when his new album “Dummy Boy” leaked over the weekend, he quickly made a distribution deal with CMG, and the album, originally set for distribution through Caroline and Capitol Music Group, was officially released Tuesday. The rapper, who has been behind bars on federal racketeering charges since last week, went to CMG because he wanted his music released immediately and because of his previous history working with CMG; the company is his main music publisher, but this marks the first time he’s used its distribution arm. Best friends since their days at Southern California’s Palos Verdes Peninsula High School, Strauss, 32, and Williams, 31, started CMG in 2015 when they discovered the unfulfilled niche in the streaming game wherein artists were creating music and, unbeknownst to them, third parties were making money off their talents. They had a solution to a problem, albeit one many didn’t even know they had. Strauss funded the startup, and they set up shop in a rented Lake Hollywood house with a handful of employees. They began by approaching artists and getting them to sign with the promise of obtaining money they didn’t know they had coming to them. They’ve since built a distribution and publishing arm and many major labels work with them either on a rights management or A&R level. The company now also records music. Strauss initially got the seed money when he was 18 years old and his father gave him a $70,000 college fund to attend UCLA. He attempted to grow the money and day-traded it into $280,000, which he soon lost in one day during a volatile time in the market. He sold his car to fund a new venture out of his dorm room building a systems integration company for the film/post-production industry that allowed users to edit their footage in real time, which was very hard to do at that time. He made $250,000 the first year via deals renting and selling to studios like Bad Robot and Paramount. In his twenties, he’d saved $1 million and he and Williams started CMG and they were soon making $250,000 a month collecting royalties from YouTube, SoundCloud and Apple. Prior to starting, Williams was working a minimum wage job at a company focused on the distribution of music to the DSP’s like Apple, Spotify and YouTube for independent labels. The pair saw a plethora of overlooked opportunities, from the monetization of mixtapes to video content creation. “We saw a trend where many indie artists were foregoing a label and instead directly releasing their music on SoundCloud and YouTube. We quickly discovered that, in many cases, this music was being shared on a much wider scale and doing better than the music the artists were putting out via their label,” Strauss explains. They acquired the company Williams previously worked for, Label Engine, taking on its roster of clients and used the data from Spotify, as well as data from YouTube to market the songs on multiple platforms. L-R: Wayne Hampton, Co-Founder/Chief Business Development Officer; Sam Casucci, Partner/SVP Digital Strategy; Jonathan Strauss, Co-Founder/CEO; Alexandre Williams, Co-Founder/COO.PHOTO BY BY ADRIAN ORDORICA. Their executive team grew to include Wayne Hampton, co-founder and chief business development officer, who exponentially grew the company by bringing it into the explosive hip hop culture and Sam Casucci, partner and SVP of digital strategy. Jacob Pace, an early CMG employee who was just 16-years-old when he joined, convinced them to buy the brand Flighthouse when it had one million teen fans. It now touts 18 million followers and drives over one billion views per month with artists like Post Malone and major record labels using the platform to promote their music. In the last year Atlantic, Capitol, Interscope, Island, Republic, Warner Music Group and 300 Entertainment have joined as marketing partners. Strauss and Williams work alongside 95 employees in a 25,000 square-foot former Disney building located in Hollywood. The median age of employees is 26 years-old. 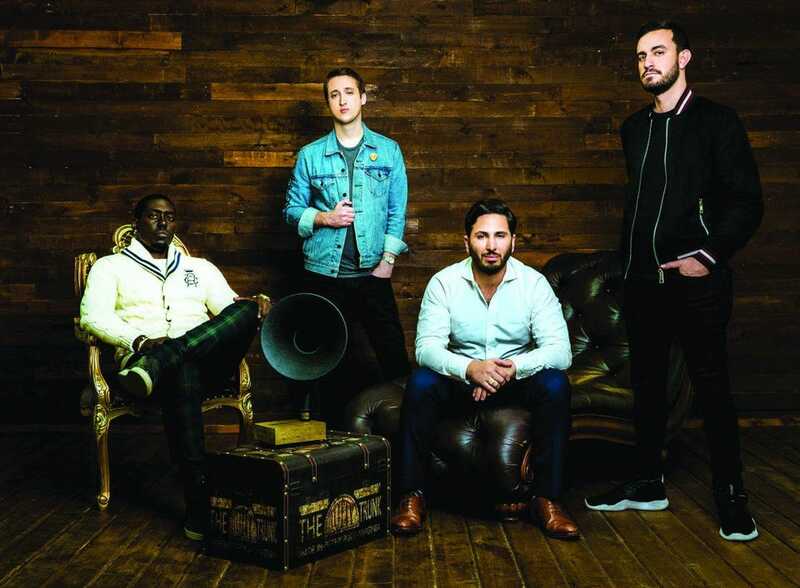 They can be found seated on 30 or so sofas or tables strewn about the open warehouse space with their laptops open, earbuds in, constantly scanning the internet for the next big music artist. Currently under construction, the build-out of the mini-campus will house five recording studios, a soundstage, a green-screen studio, lounges, offices and a YouTube production facility. Employees are divided into 15-person teams called “Tribes” that focus on a genre of music: Hip hop, EDM, viral, for example. Each Tribe handles the distribution and publishing of its genre. These Tribes, says Strauss, are extremely effective in finding and collecting royalties for artists due to the laser focus of each team. CMG shows the artists royalties daily for YouTube, with Apple and Spotify coming later this month. They collect based on a sliding scale and don’t have a set price. An artist’s piece of the pie is based on the service they sign up for. EDM breakout star, Marshmello, and his team were originally hesitant to sign with CMG. The masked DJ earned eight figures in 2016 and as Strauss explains, it’s challenging to convince an artist they’re missing out when they’re experiencing that level of success. It took about a year, but CMG eventually got a meeting with Marshmello’s manager, Moe Shalizi. Strauss made an offer few would turn down. “We said we’d advance him $150,000 and if we couldn’t double what he was making within 90 days, we’d take zero percent royalty and he could keep 100% of the money.” Marshmello signed. Performer DeShawn Raw was about to join the Army when he was approached by CMG. He’s now making $40,000 a month. "I love Create Music Group! Jonathan and Alex created a platform that allowed me to capitalize on my originality and made it possible for me to follow my dream,” he says. “If it wasn't for them, I literally have no idea where I would be." If you’re a star that’s yet to be discovered, CMG is on the lookout for you. CMG's Alexandre Williams & Jonathan Strauss.PHOTO BY MEGAN SISTACHS. I have worked for several years as a freelance journalist covering breaking news with Reuters and entertainment-related stories with Variety. I am excited to now be a regular Contributor with Forbes covering film, television and music. I look forward to learning, and writing about, the many changes in these creative industries, as well as interviewing the interesting people behind the business of what we watch and listen to. These creatives, and business-minded people alike, help to shape not only our personal tastes, but also our culture.